With many veterinarians suggesting we keep our feline friends indoors, as pet parents we may feel that our cats are missing out on their true “call-of-the-wild.” However, you can give your cat the best of both worlds by getting a cat harness, so he/she can still explore nature, but do so safely while ensuring that there is no escape. **We review these cat harnesses in more detail below, but you can also click the links above to see current prices or read customer reviews on Amazon. Does Your Cat Need a Harness? Long Trips. If you are moving or are taking your cat on vacation with you, a harness is a good alternative to having your pet spend long hours in a carrier. With a harness, your fur baby can be let out while you’re in the car, but you will still have something secure to grab onto if she gets overzealous and/or wants to escape. Additionally, you can also take your cat outside on the leash for rest stops and exercise. Feline Dislikes Cat Carrier. As any pet parent will tell you, if you’ve ever tried to get an angry or scared cat into a carrier, it’s next to impossible – it just leaves you both tired and stressed. With a cat harness (as in long trips) your cat won’t have to be confined in a kennel. Fresh Air Without Worry. If you reside in an apartment or on a busy street, having a harness on your cat will still allow for her to get some fresh air, but will keep her from falling off the balcony or dashing into traffic. Walks Together. It’s not impossible to train a cat to walk on a leash while wearing a harness. This provides your pet with fresh air and safe adventures, while you enjoy the companionship of your furry friend by your side. There are basically two types of cat harnesses. These include the H-Style (or Figure-8) and the vest/holster style harness. Both of these come with their own advantages and disadvantages. Let’s explore your options. This design of cat harness uses two loops. The smaller one is at the front, for around the neck, with a connective strip to the longer loop that attaches just behind your cat’s front legs, around the mid-chest region. The H-style is adjustable on both loops so you can get the perfect fit each time (especially helpful for growing kittens). The material is usually made with thinner, yet durable nylon and the clasps should be stainless steel or heavy-duty plastic, snap-locks to ensure it will stay in place. Some designs also offer a swivel connective loop for the leash to attach to. The disadvantage of the H-style harness is that it will produce pressure points around your cat’s neck and chest area. In addition, if it is not snug enough, your cat may be able to escape from it. The cat vest/holster harness is designed to hold your cat more snugly. This style of cat harness can come in a “full” vest that envelopes your cat’s entire upper body (from neck to mid-chest) or the vest style may leave more openings around the legs and underbelly. Either way, this style of cat harness will distribute your cat’s weight evenly, preventing any unnecessary tightness around the throat/larynx. One of the disadvantages of the vest or holster-style cat harness is that your feline may be more reluctant to wear it. However, if your cat is a pro at walking on a leash and wearing a vest, this style is very secure and should provide more comfort. Just be sure to purchase one that uses heavy-duty Velcro closures, not buckles as these can be too bulky for most feline preferences. Here is a quick video on fitting a Holster-style harness on a cat. You may have to try a few different cat harnesses before you find the one that works best for your furry pal. Keep in mind when you are searching for the best cat harness that your feline will need to feel comfortable in it and, of course, you’ll want it to be secure. If you’ve never considered training your cat to walk on a harness, it may seem like an impossible task. For some kitties, this may be true, but there are other felines that don’t mind the harness one bit. Not sure if your cat is “harness-ready?” Check out these helpful tips to see if you and your feline friend may one day become best walking buddies. The best way to get your cat trained to walk on a harness and lead is to start her young. Kittens tend to be more compliant when it comes to change, so find the best cat harness and begin her lessons right away. If your cat becomes frightened of the harness, you most likely will never get it anywhere near her again (at least, not without a battle on your hands). For this reason make the harness a pleasant and even fun experience. You can do this by allowing your cat to wear the harness around the house each day for a few hours at a time. While she is getting use to the whole process, be sure to reward her with her favorite treats and lots of praise. As we saw in the holster-harness-how-to video, this is particularly important when you are putting the harness on her for the first time. Once you start training with the harness, don’t stop. Make it a daily, consistent routine so your feline will get use to the feeling of the harness. If you stop and come back weeks or even days later, you may have to struggle with your feline to get her to comply. When your cat is comfortable wearing the harness, attach the leash and let her drag it around your home. You will want to avoid just snapping on the leash and going straight outside. The lack of practice with the leash and being outside for the first time, may be too much for your cat to handle. Take it slow and let patience be your guide. Don’t give up or be discouraged if your cat doesn’t take to the harness and/or leash the first time. 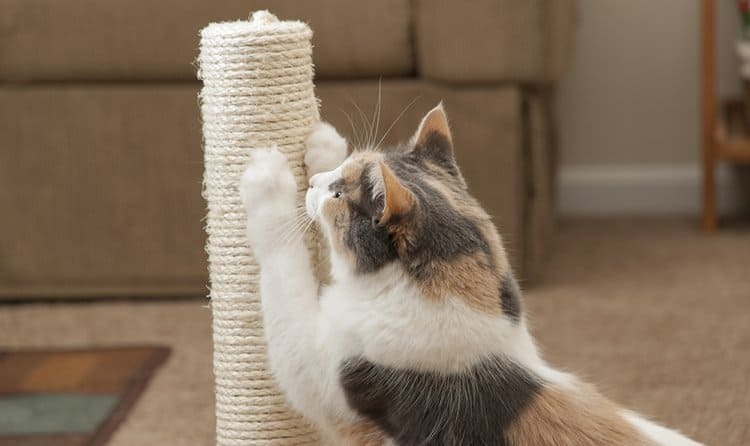 All cats learn and adapt at their own pace, so you may have to stay in the practice-mode for longer than you first anticipated. With so many choices when it comes to choosing the best cat harness, we’ve done some research and have found four cat harnesses that may be a good fit for your cat. After a lot of research and noting the failures of traditional cat harnesses, the designer of the Mynwood Cat Jacket Harness produced a safe and secure jacket harness for adult felines. Using her three large Bengals as the target-market, Maria spoke with breeders and pet parents to make her product above the rest. The Mynwood jacket harness incorporates the six points of a successful design; security, strength, design, practicality and customer satisfaction. In fact, Maria offers a satisfaction guarantee on each of her hand-sewn jacket harnesses. The biggest concern reviewers had of this product is it’s only adjustable to a certain size. If you have a very large cat, the this may not be your best option. In addition, the price-point of this item is very high when compared to traditional cat jacket harnesses. The overall rating of the Mynwood Cat Jacket Harness is 5 out of 5 for its strength, durability and the fact that each one is handmade. The only thing that may be a concern for pet parents is that this harness is only appropriate for adult cats and also takes a bit longer to be delivered. Even though cat harnesses has gone through some restructuring for a “better” design, some pet parents still trust the good ole’ Figure-H Style Cat Harness. This type of harness snaps around the neck and just behind the front legs with adjustable straps and sturdy snap-lock buckles. 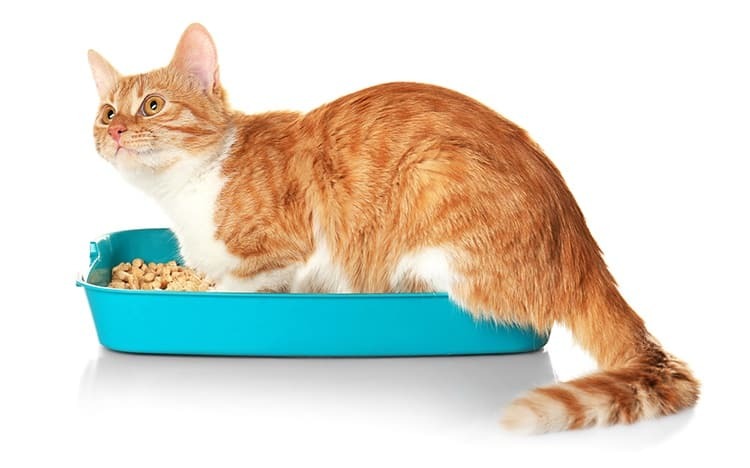 The nylon material will stand up to the wear-and-tear of your cat’s adventures, but it can still be thrown into the washer for a freshening up. The biggest concern some pet parents have is that if your feline is reluctant and squirmy, it may be a bit tougher to get onto him. In addition, this style of cat harness may not work well on small kittens. The overall rating of the Figure-H Cat Harness is 5 out of 5. For those tried-and-true Figure-H fans, this design is the only harness they will trust on their precious fur baby. The adjustability and durability is getting top marks, but just know that not all cats may take to this type of harness. Made with high quality material and an extra, front D-ring for reduced pulling, this vest-style harness is the “cat’s meow.” This adjustable cat harness is warm, weather-resistant and padded for the ultimate comfort for your feline friend. The front opening sits lower on your cat’s neck, so there will never be any excess strain on the throat/larynx. In addition, it comes in four bright colors so your cat will be visible when you’re out walking or just exploring the front yard. One concern that may come up with the Dexil Luxury Cat Harness is since it’s only available in small/medium and large/x-large, some pet parents may have trouble fitting it on kittens or on those in-between sized cats. The overall rating of the Dexil Luxury Cat Harness is 4 out of 5 for its convenience, weather-resistant and padded design, but felt the sizing may be an issue for some folks. The OxGord Pet Harness is great for cats and dogs. It’s breathable mesh material will have your cat cool and comfy while exploring your backyard or walking on a leash. This harness is also designed to sit around the lower neck/shoulder area to prevent tugging on your cat’s larynx. In additional, this pet harness has also been designed for animals to be secured in your vehicle with an added seat belt strap. The biggest concern some pet parents have is that if your feline is determined enough to get free of the OxGord, it can slip out from this design. The overall rating of the OxGord Pet Safe Harness is 4 out of 5. It’s comfortable design and multiply color choices are extremely pleasing, but cat parents must be aware that their feline may be able to escape from this harness. We have two clear winners in the best cat harness category. The Mywood jacket-style harness provides your cat with comfort and safety – the swaddling effect it provides may be a pleasing to some felines – and it is virtually escape-proof. The Figure-H style cat harness has been around for years and has proven itself time-and-time again to be a safe and effective harness for cats of most sizes. If you’re shopping for the best cat harness you can find, take these helpful hints and tips to help further your decision. And remember, not all cats will tolerate a harness, but for those that do, taking them outside on an adventure each day will surely open a whole new world for their eyes and mind to behold. I am in an unusual situation, where a large, strong c4yr old tomcat has adopted me. Out most nights and sleeps in during day etc. Hates carriers, sprays etc, but tolerates being picked up. Am moving from its suburban beat to an alien countryside environment to which I need to get it familiarised with. The whole move will be a nightmare. He is not neutered, so extra strong, but needs this for confronting badgers, cows, sheep, sheepdogs etc for the first time. What is best?